2018 Race to Alaska,R2AK, finisher. Team Dreamcatcher. Equipped with modified Russell Brown pedal drive and dual sliding seat rowing stations with 12 foot carbon sweeps. Boat is dry sailed, gel coat bottom, on 1996 Triad double axle trailer with current registration. Trailer has complete, new in 2018, brakes, hubs, actuator, and 4 new tires. New in 2018 include Ballenger double spreader conversion with new rod uppers, lowers, head stay, wire intermediates. Carbon GPL #1, Pentex #2, Pentex #3, Dacron main with two reefs, Airex spinnakers 1/2 oz. and 3/4 oz., stay sail. 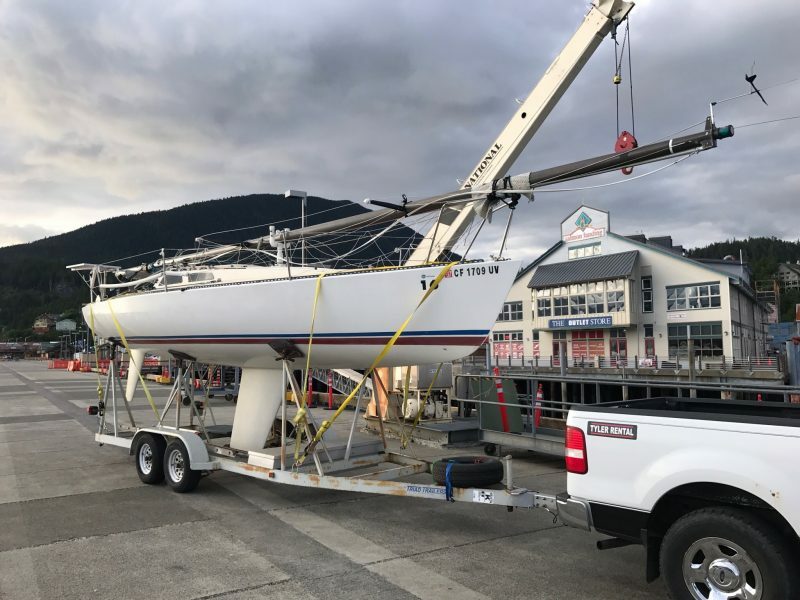 Rigging upgrades include dyneema lifelines ,backstay, with 24 to 1 cascade adjuster, adjustable Genoa leads, hi tech halyards and sheets (brand new jib halyard). Harken 6 to 1 main sheet. Tuff luff head foil, spin sheet tweekers, near new Ballenger race boom, Boomkicker. switch for dual batteries, AGM 32 amp battery new 2018. Upgraded wiring.